May was quite a slow month in terms of events happening since I was finishing school up for the spring semester, so I decided to combine May and June into one blog post. I was fortunate enough to have the opportunity to live up in Fort Collins for the summer. Part of the reason is because I’m taking some summer classes so I am able to graduate in December, and another the reason was to avoid subletting the apartment! It’s funny how things come full circle, because when I was a freshman, I was thinking about a rough four-year plan for myself in terms of living situations, and one of the things I wanted to do before I graduated was to live in Fort Collins for the summer, so I’m very glad I got the opportunity to take advantage of that during my time at CSU! Now onto what’s been happening in my life lately. I’m not going into too much detail, considering there is a whole blog post about my Holy Week and Pacha. It was amazing though, and possibly the last Pascha I will get to spend in Fort Collins depending on what my post-graduation plans will be. I am finally at the age where I get to start seeing my friends graduate from college, which is super exciting. One of my favorite things is to share my friends’ accomplishments with them. There gives me no greater joy in the world than to be there for them because I know how big of a deal their accomplishments are. 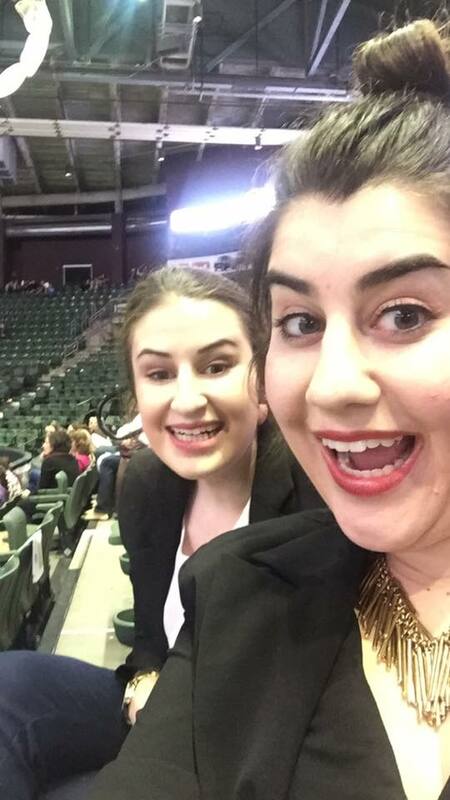 The Front Range Graduation was at the Budweiser Events Center outside Fort Collins. Katie and I ended up going to watch the graduation even though it was during finals week. Since Gosha was the student body president, he got to sit on the stage with all of the school officials, which was super exciting to see. 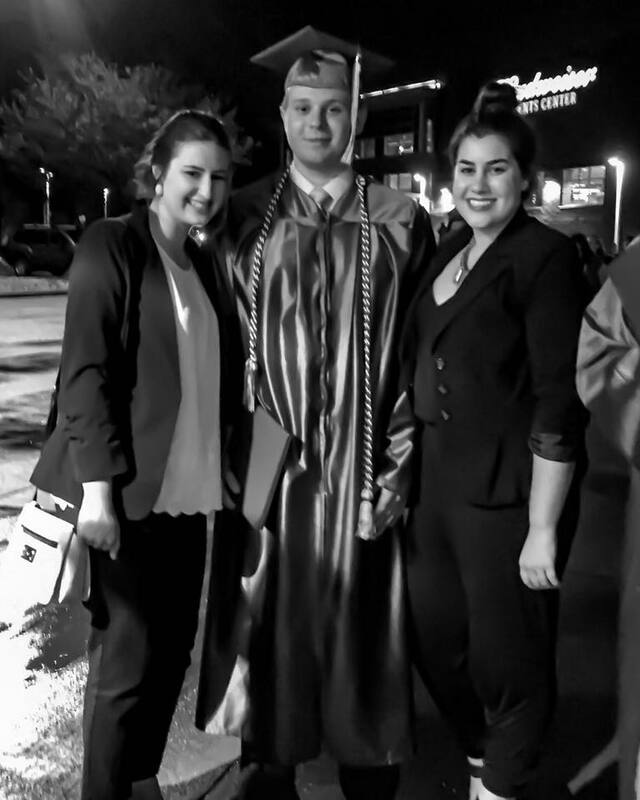 Though it was a long ceremony, being able to see him graduate was so worth it. And I think he appreciated it too. He is such an ambitious and has already done so many amazing things so I can’t wait to see what the future holds for him at UNC. Clearly, May had a graduation ceremony theme. A few weeks later, it was Jj’s turn to finally graduate from high school. 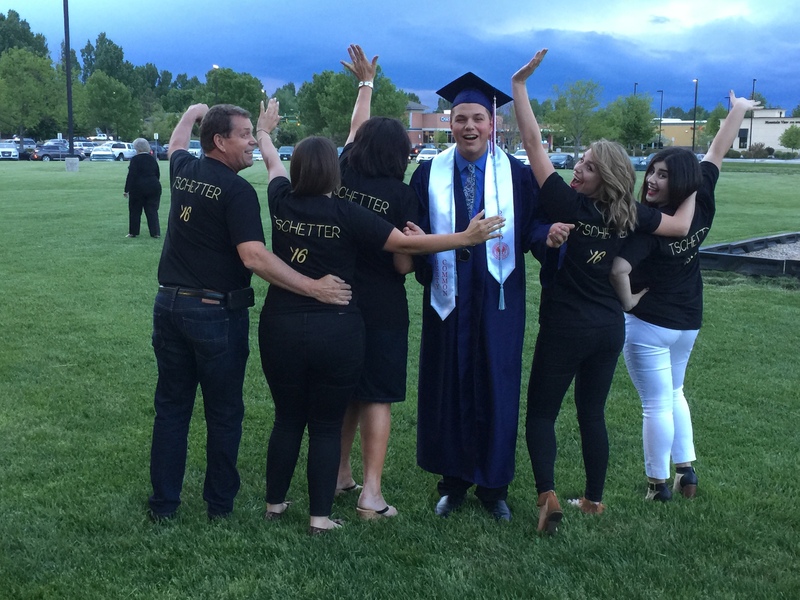 I was so blessed to be included by his family for the ceremony…complete with matching shirts designed by yours truly. 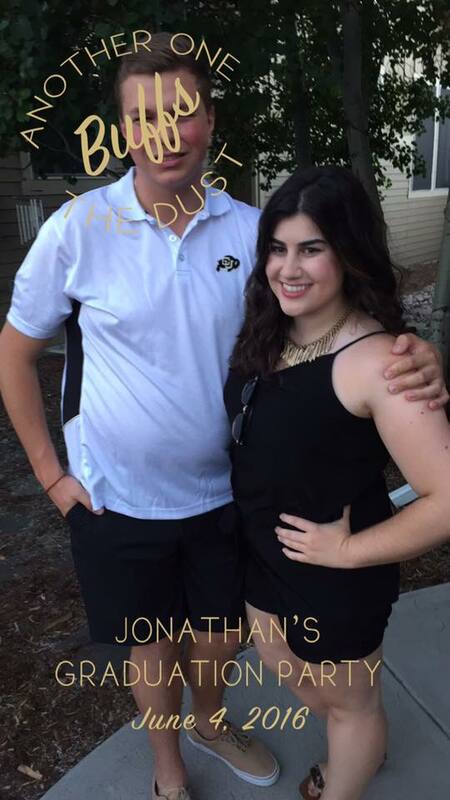 The theme for his whole graduation was “Another One Buffs the Dust,” since he is the last sibling to go to CU (both his older sisters, Jennifer and Nicole graduated from CU). I am super proud of him for graduating high school and watching him grow up into the young man he is today over the last few years while I’ve been living in Fort Collins. 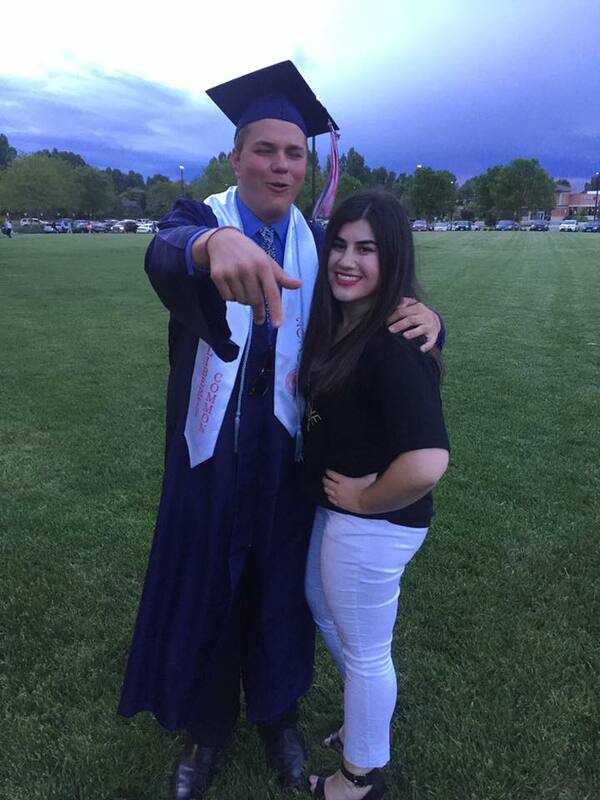 I can’t wait to see what his future holds at CU and beyond! After the long battle to find a summer job, I landed one as a customer service representative at Otter Products at their headquarters in Fort Collins. I had been familiar with OtterBox for a long time, having their cases on my phone, but I had no idea they bought LifeProof and are now under the parents company Otter Products. I began training there with the end of May, immediately falling in love with the company. The values they run their company on are amazing, as are the people that work there. I love my co-workers and managers. Not to mention an amazing employee discount. I think it was a great fit for a summer job and hopefully will pan out into something related to my field after graduation! So on top of making all of the “Another One Buffs the Dust” artwork, I also made five (yes, five) pans of spanakopita for the graduation party (his sister Jennifer joked that we were all “Jon’s sweatshop!”). It took three hours after training for Otter, but it was so worth it because it was completely gone by the end of the party. A win in my book. The party was really great. The weather was perfect, as was the atmosphere. Nicole made an amazing video that chronicled the last 18 years of Jj’s life, which played at the party (it crashed the day before she she was working until the 11th hour trying to finish it!). Jennifer and Nicole also wrote him a rap, which was awesome. CU is a family school so the whole family was beaming with CU pride. Something tells me I’m going to have to learn the CU fight song at some point…. Mom and Katie came up and spent the night after the party, so it was nice to visit with them for a while before I got really busy with work. I almost forgot – my other B.A. moment for this party was creating a Snapchat filter (yes, you read right) to use at the party. It took about two weeks to get approved but it was definitely a hit at the party! My friend Madison invited me to go to Social, this swanky bar in Old Town, with her and our friend Cooper. It’s been on my list of places to go for a long time, so I’m glad I finally got to go. I ordered a Papa Doble, a drink with grapefruit, lime and rum. It was perfect for a summer drink and tasted delicious. 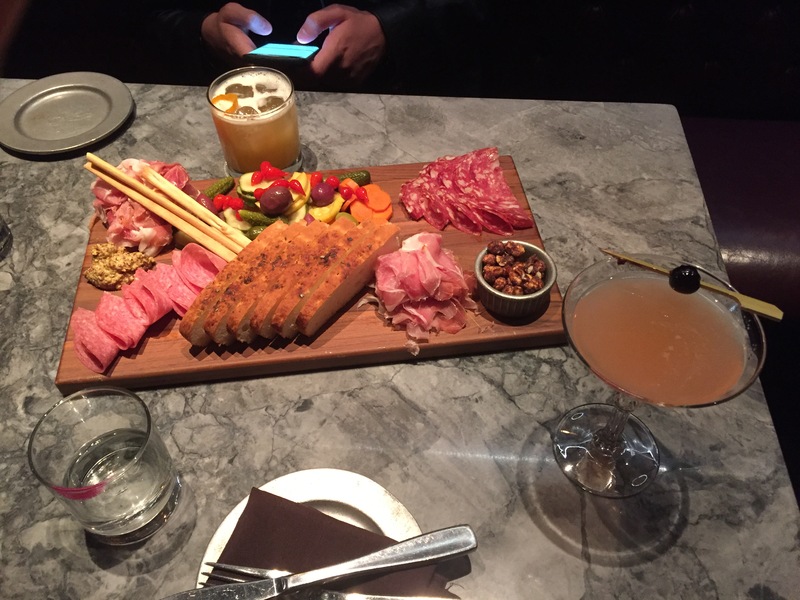 We also ordered one of their Oak Boards, which was a selection of meats, veggies and bread to snack on with our drinks. It made for the perfect night out after work leading into my long weekend home. I will definitely be heading back there at some point before leaving Fort Collins. 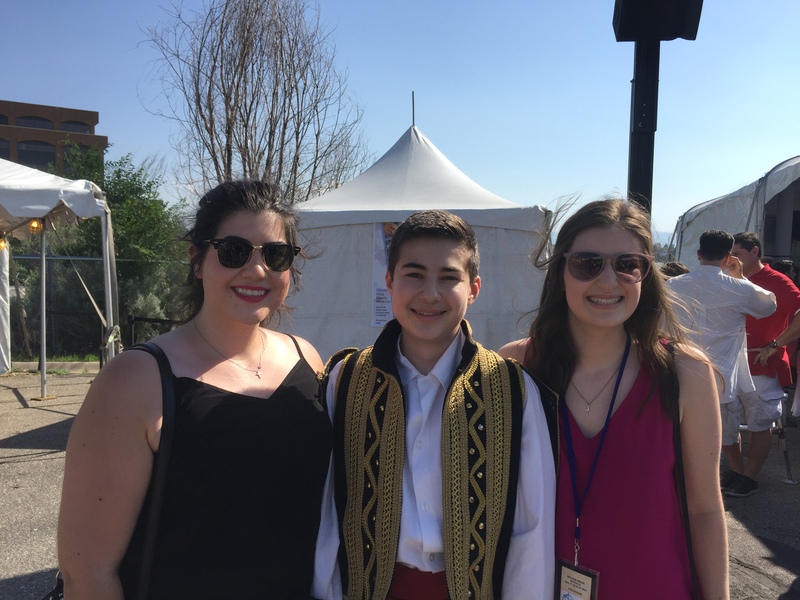 Each year, I make it a point to go at least one day to the Denver Greek Festival. I spent seven years as a dancer as the festival, so it was definitely an part of growing up. This year, I was able to rally some of my friends from school to come and meet me there. With me being in Fort Collins, it makes it hard to get together with friends, so seeing everyone made me so happy! And since I am finally 21, I was able to finally get the blue wristband for drinking (used to be the coveted “Bar” stamp) to drink. 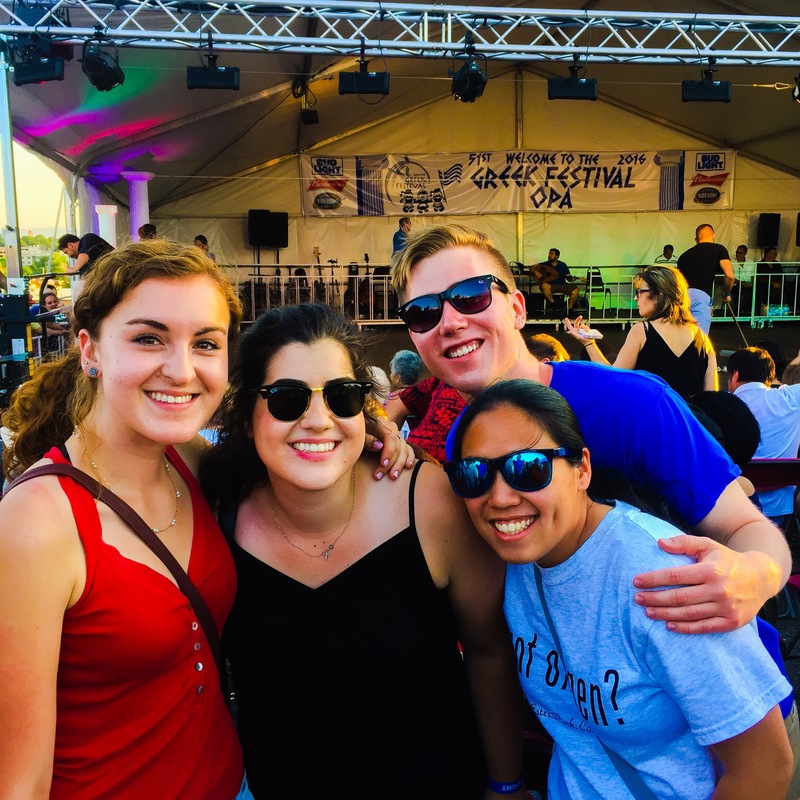 With my high school friends, I did my very first ouzo shot at the festival. Sorry not sorry. The high school squad is back together! I probably also watched every show at the festival, including both of my brother’s shows. I made it a point to support him by going to his shows, as he did the same for me every year that I dance. The Kleftes’ (the adult group) show was my absolute favorite because they took traditional Greek dances and added a modern twist to them. It was amazing to say the least. Katie and I with Tom after dancing his day show. After the festival was an after party at a hotel in Cherry Creek. 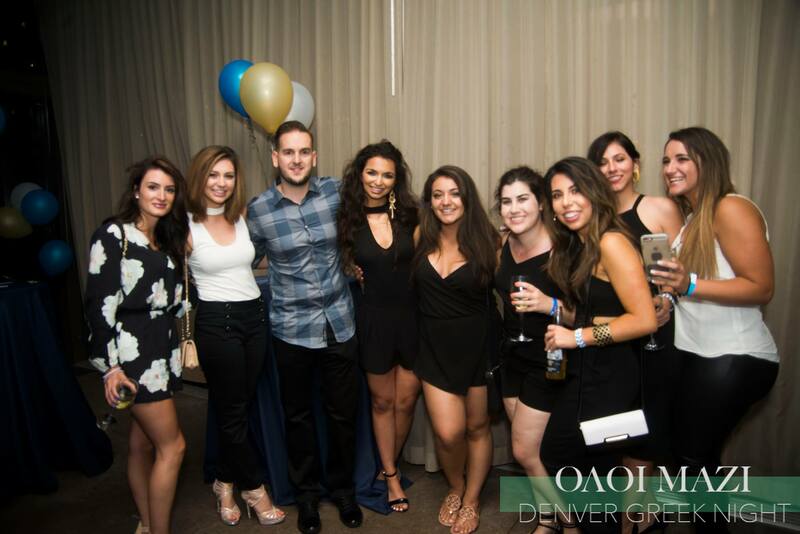 The party was called “Ολοι Μαζι,” which translates to “all together.” The whole night was filled with non-stop dancing and fun. Nobody parties better than the Greeks, I will tell you that. Photo courtesy of Anthony Adwnis Papadimitropoulos. Last Sunday, Madison and I took a day trip to Estes Park, which is about an hour away from Fort Collins. I hadn’t been to Estes since I was in middle school, which was almost 10 years ago! 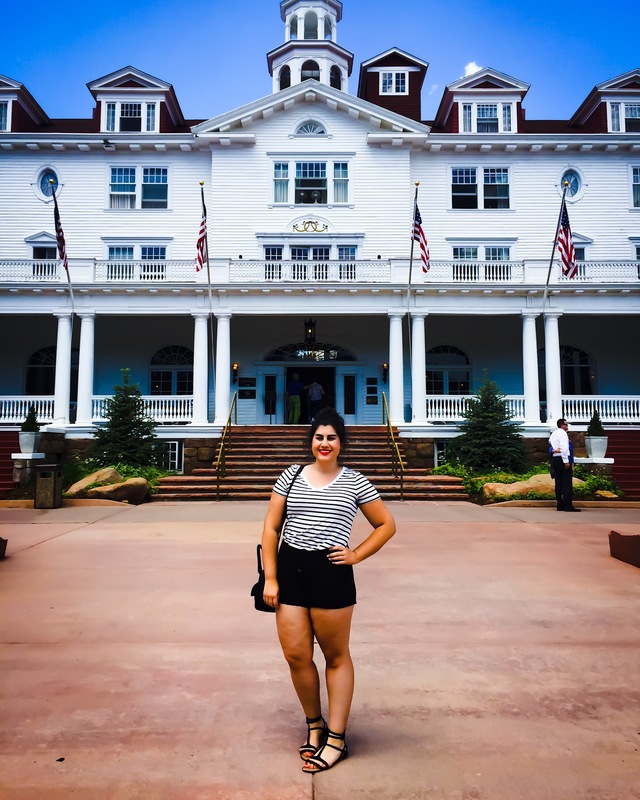 We had a lot of fun hanging around the Stanley Hotel and the downtown area. It was the perfect weather to just walk around and hang out. It was so crowded though because there was a Scandinavian Midsummer festival going on in the downtown area. Our initial plan was to go get drinks at the Stanley Hotel, but the menu had them priced at $12, which was a little too much for both of us. Given Shelby’s suggestion of restaurants, we ended up having lunch at Ed’s Cantina downtown. The food (and the margarita) were absolutely delicious. It felt good to get out for the day and get up to the mountains. We have them, so why not take advantage of them? 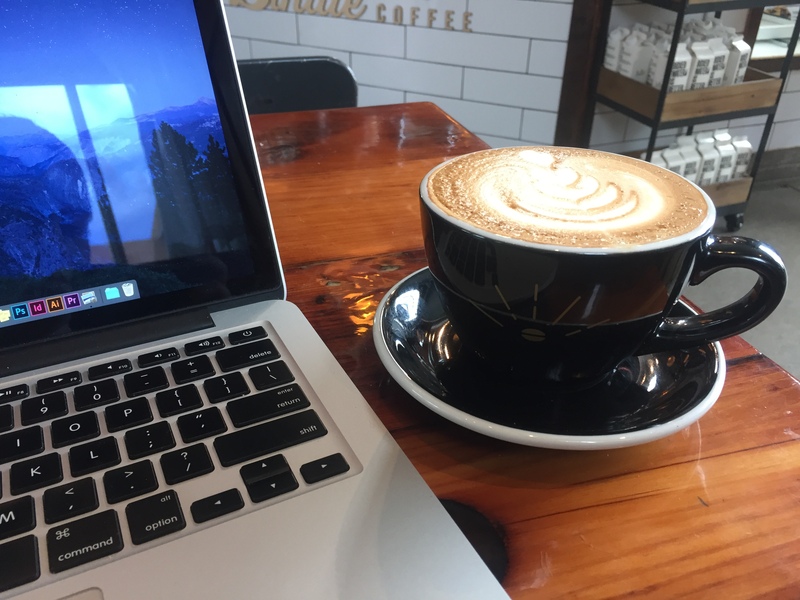 As I am writing this post, I’m sitting in Bindle Coffee at Jessup Farm, this self-proclaimed “artisan village” in Fort Collins. I had been wanting to go for a long time because I have heard so much about it and so far I’m very impressed. The coffee is amazing and the latte art is on point. Definitely the perfect place to blog. I always like to go and try new places, especially coffee shops, because I think they are the perfect place to work when you want to get out of your house. I always feel more productive there than when I am at home, which is never a bad thing! Running on the track. With the apartment’s construction, I have found a new love for getting outside and doing a track workout. Thanks Jj for the idea! Double shot on ice. O.M.G. If you have not tried this, you need to. It’s the perfect summer drink that is basically espresso with a splash of milk. It definitely rivals a Greek frappe for my choice of drink for the summer. Another suggestion by Jj. Spotify Premium. Spotify was having a 99 cent sale on Premium so I took the plunge and got it. Why didn’t I do this sooner? I am obsessed with it to say the least. Dean’s List for spring semester. All the agony and hard work paid off because I made Dean’s List this semester! An accomplishment for sure! Thank you for bearing with me with the length of this post. See you next month for July! !